Insurance Agency - Columbia, SC - Russell-Massey & Company, Inc.
Russell-Massey & Company, Inc. understands the need to protect the important parts of your life. That is why we offer only the best services to make sure everything you have worked for is kept safe and secure.  With two locations in Columbia and Chapin, we are able to serve insurance needs throughout the Palmetto State. Take a look at the different services we provide and get started on insuring your future today.